If you love lightweight printed paper, this is the stack for you! Use the basic prints inside, available in a rainbow of colors, to accent your scrapbook pages, create die cut shapes, add to your cards, create tags and party favors…the possibilities are just beginning! 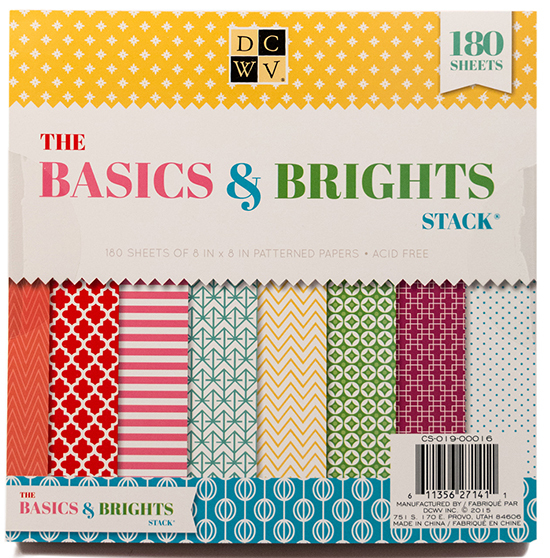 This and other 180 sheet stacks by DCWV Inc. are available at Jo-Ann Fabric and Craft Stores®.